Leutnant Werner Voss was just 20 years old. Printed on 100# acid free stock, the edition consists of 560 prints plus 56 Artists Proofs. 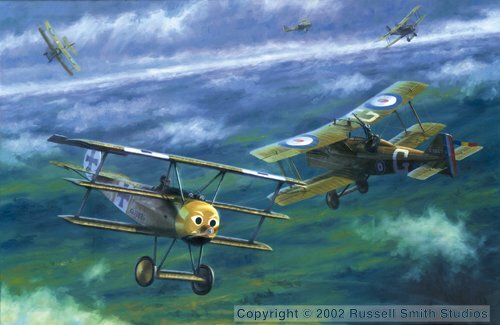 Each print is individually signed and numbered by Russell Smith.